Zebra mussels are freshwater creatures, and their Latin name is Dressena polymorpha. Over the past 200 years, they have become an invasive species, invading multiple bodies of water in Europe as well as North America. There are two components to being an invasive species in an ecosystem. The first: the species is non-native (alien), which means they were introduced to an already established ecosystem. The second: the species threatens its new ecosystem and is harmful to the environment. To understand zebra mussels as an invasive species, let us explore their appearance and ecology, the cause and history of their spread, the harm they inflict on ecosystems, and the measures to control and prevent their invasion. 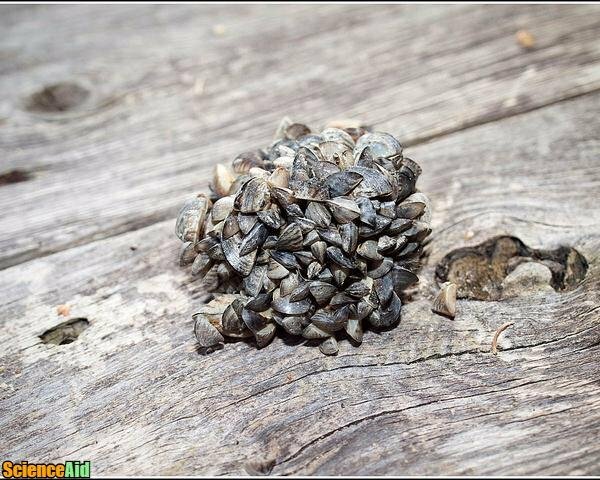 What exactly makes a zebra mussel a zebra mussel? Below you will find information on their appearance, native home, life cycle and reproduction, and diet as well as the predators that feed on them. Size: Zebra mussels are small -- fingernail sized; however, they can grow to be 5 centimeters (or 2 inches) in length. Shape: Zebra mussel shells are (loosely) in the shape of a D.
Design: Zebra mussel shells have a stripped pattern, much like a zebra's (hence their name). Zebra mussels' native home is in eastern Europe. They originate from Russia's southeast lakes, the Black Sea, and the Caspian Sea. Zebra mussels live for about 4 to 5 years, and they can withstand about 3 to 5 days out of the water. Zebra mussels can settle on areas that are both soft and hard, and 6 to 7 weeks after a female zebra mussel attaches herself to a surface, she will begin to generate eggs. She can bear 30,000 to 40,000 eggs each time, which can lead up to 1 million eggs a year -- or 4 to 5 million eggs during her lifespan. 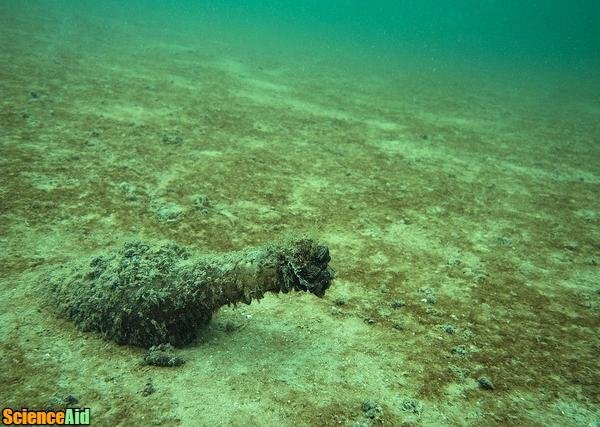 Zebra mussels eat plankton, which are small organisms that live in water (either fresh or salt). Plankton is also food sources for a large variety of aquatic species. Both birds and sea creatures feed on zebra mussels. An example of a bird that consumes zebra mussels is a seagull; an example of a sea creature that consumes zebra mussels is a crayfish. Note: Even though humans can eat zebra mussels, experts advise against ingesting zebra mussels. Zebra mussels have become an invasive species due to the journeying of the human race over the past 200 years, and this mussels species has infested 7 countries to date. There are two main causes for the spread of zebra mussels: recreational boats and ballast water tanks. Zebra mussels attach themselves to boats. If a recreation boat is not cleaned well, and that boat moves from one body of water to another, it will carry the zebra muscles with it, which introduces zebra mussels to new water sources. When a ship crosses the ocean, it may carry ballast water within it. Ballast water is either fresh or salt water contained inside tanks on a ship in order to help balance that ship when it is low on cargo. After the ship arrives at its destination and loads up new cargo, it empties the ballast water tanks, mixing water from one location with water in another location. Here is a list of the countries and areas zebra mussels have invaded. The years of invasion are included. The Great Lakes of North America,1988. The United States of America, 2008. Zebra mussels not only harm organisms within the ecosystems they are introduced to but also harm objects, such as boats, within their new environments. Below is a list of the damage zebra mussels are capable of inflicting. Zebra mussels can gather in clusters and plug pipes, screens and other water intake systems. This mussel species has sharp shells and can cover recreational areas, such as docks and beaches, which can result in people slicing their feet. In addition to eliminating a vital food source (plankton) for native mussels, zebra muscles can fasten themselves to the native mussels, suffocating them. Zebra mussels are considered to be a cause for avian botulism (a bird disease) that kills millions of birds. If there are many zebra mussels in the ecosystem, concentrations of dissolved oxygen can decrease and water acidity levels can increase. Economic burdens are created when zebra mussels invade as large amounts of money are spent in order to control this invasive species. One way to prevent the spread of zebra mussels is to ensure that recreational boats have been properly cleaned. Another option is to develop stricter ballast water regulations. Unfortunately, it is not possible to remove zebra mussels from an ecosystem once they have invaded it. MLA (Modern Language Association) "Zebra Mussels: Invasive Species." 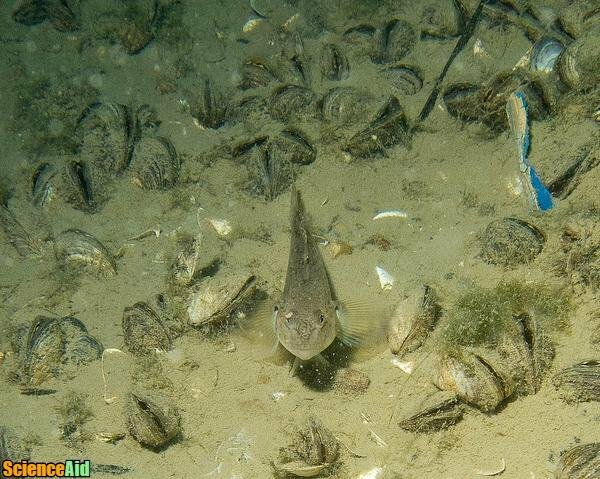 ScienceAid, scienceaid.net/Zebra_Mussels_Invasive_Species Accessed 25 Apr 2019. Chicago / Turabian ScienceAid.net. "Zebra Mussels: Invasive Species." 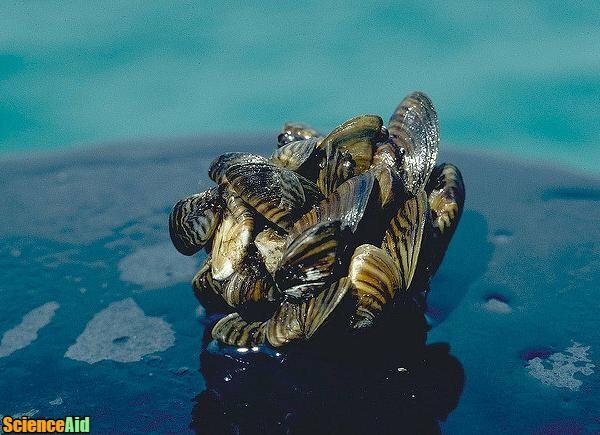 Accessed Apr 25, 2019. https://scienceaid.net/Zebra_Mussels_Invasive_Species. Thanks to all authors for creating a page that has been read 53 times.